Description: The tip of the nail is the most fragile, most unprotected part and breaks easily. This is therefore the part of the nail to be strengthened. 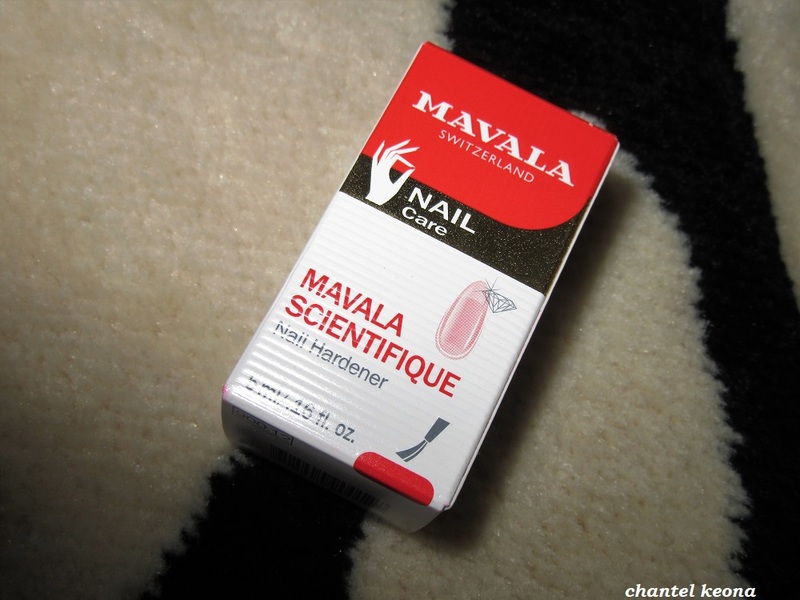 By quickly hardening the nail Mavala Scientifique allows splitting, soft flaking or splitting nails to become healthy and strong. It’s formula hardens the nail plate so that the nail can restore its normal growth. Instantly penetrates. Is neither a base nor a nail polish. Directions: Remove polish or any oily film and clean nails thoroughly. Brush on to the free edge of the nails. Leave on for one minute to set. Apply twice a week at the most until your nails have become healthy and strong. Then two to three times per month if necessary. Precaution: Never apply under nail, on cuticles, or skin to avoid hardening of the epidermis. If any product runs on to the skin, wipe it off with damped cotton pad. 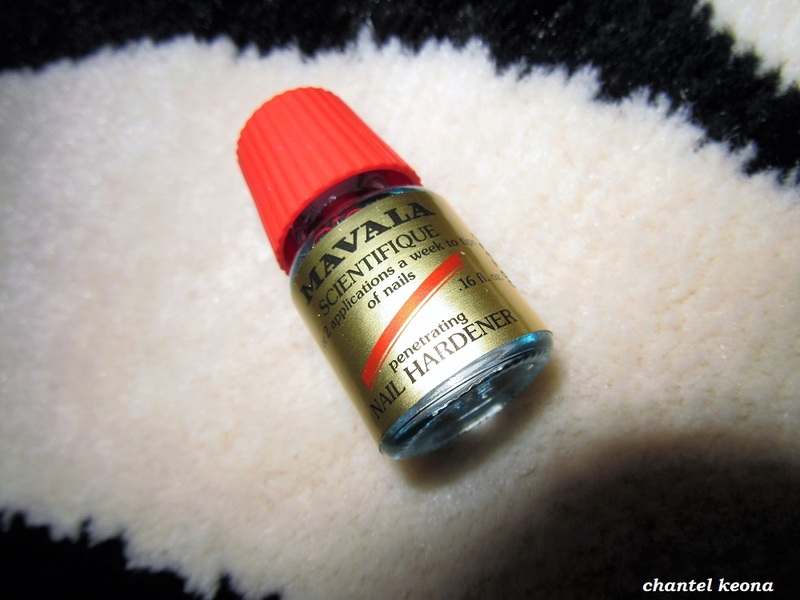 My natural nails are a little weak from wearing acrylic nails for so long so this nail hardener has been very helpful in strengthening my nails. There is a slight strong odor so if you can get past that then I definitely recommend this product to all of you guys because it actually works. What nail hardener are you currently using? Let me know in the comments.